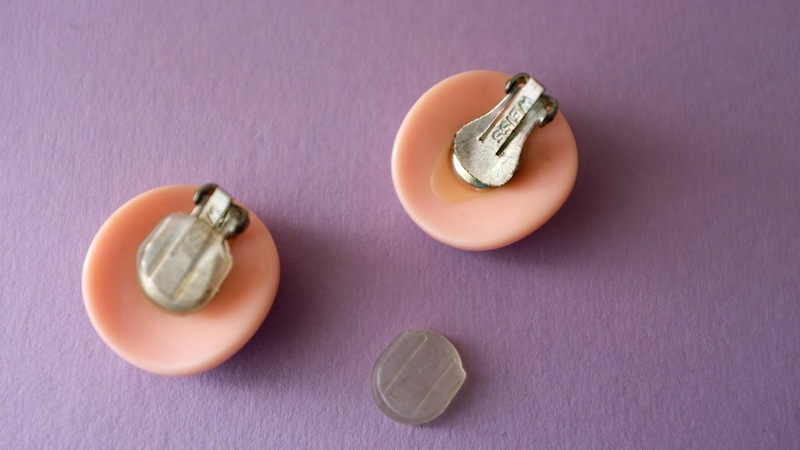 As I mentioned in my introductory post, I’ve tried pretty much everything to minimise the pain of beautiful clip-on earrings… Here’s three tips to keep your ears feeling almost as good as they look! Tip no. 1: Don’t clip them onto your actual earlobe. This tip was given to me by the highly eccentric proprietress of Hubba Hubba Vintage in Burbank… So you take your earlobe, pull it away from your face, then clip your earring onto the skin! It may take some fiddling, but if your earrings are big enough, it’s totally unnoticeable, and hurts a lot less than clipping them straight to your ear. This may look weird, but it totally works! Tip no. 2: Buy comfort pads and plenty of them. This tip is from the lovely Marti Brom, and it helps a lot. I find these comfort pads on ebay using search terms like “comfort clip earring pads” or “earring comfort sleeves”. They work, and they’re cheap! What did I ever do without these things? Tip no. 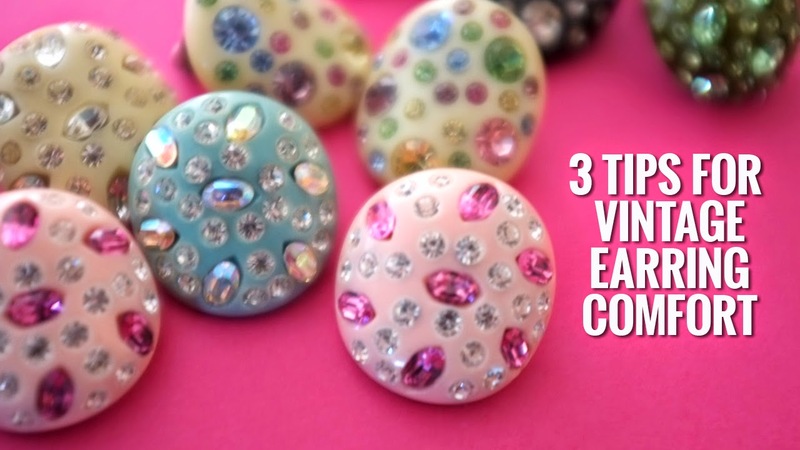 3: Loosen the earring backs. The ideal situation is to have your earrings loose enough that they don’t hurt, but tight enough that they don’t fall off. It’s a delicate balance. To loosen off your earring backs, take a butter knife or screwdriver and gently push up the back of the clip. It’s best to do it in stages, trying the earring on after each attempt. I’ve tried lots of other crazy schemes with mixed results… My most creative plan involved buying corn pads from the footcare section at the supermarket, cutting them down, then sticking them to the front and back of my earrings to soften the blow on both sides. That was a fail. Is there anything else I should try? What are your tips for clip-on comfort?